Today is the Day! Three More Bloggers Join the Blog Tour! 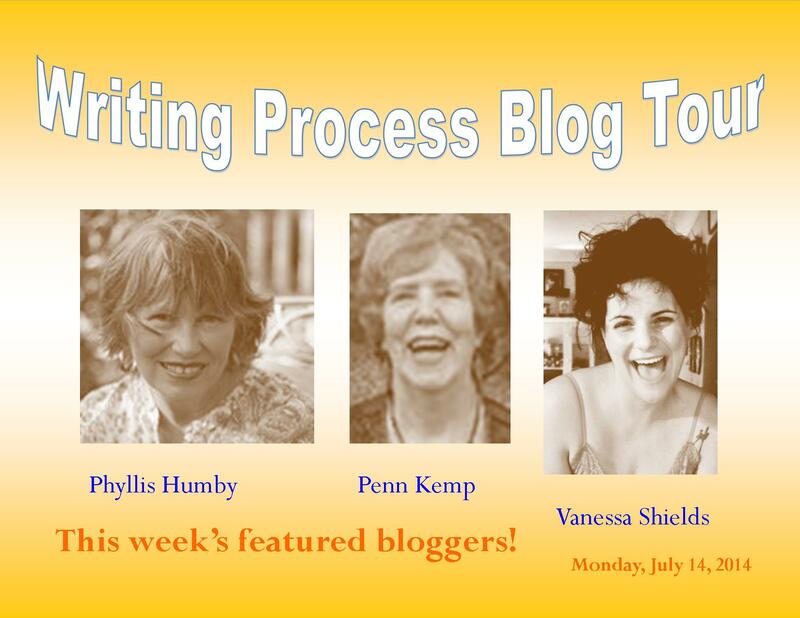 Just a reminder that these three bloggers will be sharing their writing process today, July 14, 2014. Also check each blog for a list of next week’s featured bloggers on the Writing Process blog tour! This entry was posted in blog posts, Works in Progress and tagged Blog tour, Penn Kemp, Phyllis Humby, Vanessa Shields on July 14, 2014 by d78hill. Thanks for sharing this, Deb. To Phyllis—it’s amazing how much I identify with the words, emotions and thoughts in your columns. Especially when writing how your characters lead you and not the other way around. Same here! Look forward to reading more of your work.